Super Savings Item! Free Shipping Included! 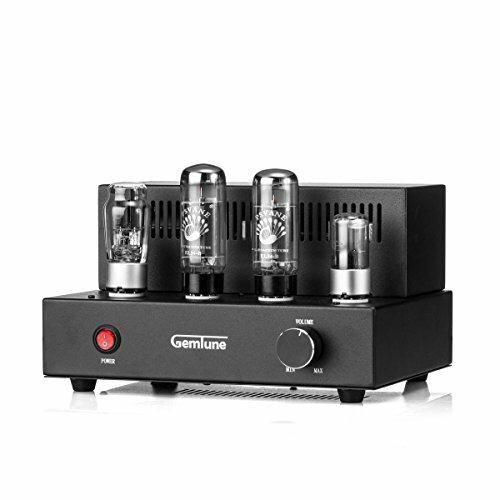 Save 33% on the Gemtune X-1 Class-A Integrated Tube Amplifier with 5Z4PX1, 6N9PX1, EL34-BX2 by GemTune at The Met Theatre. MPN: X-1. Hurry! Limited time offer. Offer valid only while supplies last. EL34B tube upgraded to PSVANE brand. Vacuum Tube Amplifier; Tubes: 5Z3P/5U4G are randomly distribute, 6N9P, EL34. Stereo Hi-Fi Integrated Amplifier brings you exquisite and refined music;100% handmade ,Particularly Ideal for Vocal Music and Chords. Class A Single Ended Amplifier to reduce distortion;Self-Biasing Design; Analog Inputs; Output for speaker impedance: 4/6/ 8ohm.To protect the amp,tubes and machine are packed individually. 【GUARANTEE】 We provide a 1 year warranty for the amplifier and 2 month warranty for the tubes. Our goal is to provide 100% customer satisfaction so you can buy with confidence! If you have any questions about this product by GemTune, contact us by completing and submitting the form below. If you are looking for a specif part number, please include it with your message.